Lock & Lock, the trusted name when it comes to home storage solutions, offers shoppers with wonderful gift sets that perfect for this season of gift giving. Our favorite Lock & Lock products have been packed in beautifully packed boxes that all ready for giving. 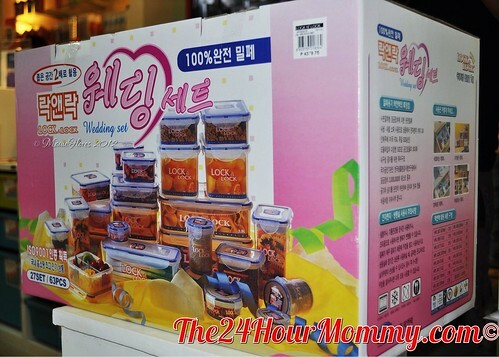 And because the Christmas season here in the country has become the favorite time for weddings, Lock & Lock has also prepared a wedding gift set. 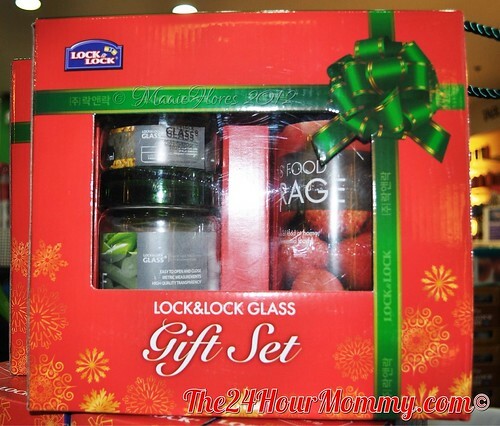 These Lock & Lock gift sets are available in leading department stores nationwide and in their flagship stores. Lock & Lock flagship stores are located in EDSA Shangri-la Mall, Alabang Town Center, Glorietta 4, Lucky Chinatown Mall, Araneta Avenue, Quezon City, and Banilad Town Center, Cebu. By the way, watch out for the opening of the latest Lock & Lock flagship store in BF Homes Parañaque! The Christmas season usually signals a lot of things but most of all, it means the time overflowing food. Whether looking for a great gift or for the perfect storage containers for those Christmas party leftovers, these Lock & Lock gift sets are perfect! I would love to receive any Lock & Lock products for Christmas. We've been using it for years now. Hubby uses it for his lunch box and Una for her water bottle. Wow! How much is the glass set? The one in red box.